Created by legendary comics team Stan Lee & Jack Kirby in 1966, The Black Panther burst onto the scene as of one of the very first mainstream superheroes of African descent. In a time when only a few black superheroes had ever appeared in comics, let alone one with superpowers, it cannot be stressed enough on how much of a significant impact and importance this had created. Not only in the further development of many more heroes in kind for comics in general, but a moment in mainstream entertainment still held highly in pop culture to this very day and continued with every progressive arc for the character over the years. So in light of such a legacy, and an over 2 decade wait for a proper big screen adaptation, it stands to reason that with the production of the latest feature from Marvel featuring the hero in his first solo outing (since his cinematic debut in 2016) a similar level of significance was to follow. And as the first MCU release of 2018, Black Panther not only serves as one of the studio’s most devoted projects to a historical landmark in comics history but also stands as a smart, stylish and fun popcorn adventure holding its own against its contemporaries and more. And while Black Panther’s sports relatively straightforward plot, through Coogler’s direction, writing and some of the franchise’s best performances it becomes more than capable in going a step above and beyond a typical origin story. Set shortly after the events of Captain America: Civil War, the story follows T’Challa as he returns to his home kingdom of Wakanda, a mythological Afrofuturistic kingdom standing centuries beyond any other civilization in technology and culture, owed in no small part to a rare alien mineral vibranium. Upon his arrival, reuniting with family, friends and rivals alike, T’Challa soon ascends to the throne of Wakanda and, in so doing, officially inherits the mantle of the nation’s protector known as The Black Panther. However, additionally he also comes to inherit all socio-political obstacles to come in ruling a small yet veritably rich country; a country in which for centuries have chosen to remain hidden to the rest of the world as a seemingly impoverished Third World country even in spite of the greater good its resources could supply. However, when enemies new and old resurface, bringing also the sins of Wakanda’s past with them, it falls to the newly-crowned protector and his allies to rise to the challenge for not only the safety of Wakanda but its very future toward the outside world that certain revelations may bring. In a span of only five years, Ryan Coogler continues to prove himself an extraordinary talent in the latest generation of filmmakers with yet another critical hit; going three-to-three following the success of relevant docudrama Fruitvale Station (2013) and the surprising Rocky revival we never knew we wanted, Creed (2015). While now able to demonstrate his directorial chops and have fun with a $200 million budget backing him up, Coogler (alongside co-writer Joe Robert Cole) also takes full advantage of his first foray into the realm of superhero blockbusters with a thought-provoking human drama delivered through exceptional world building and exploration. Bringing to life one of Marvel’s most realized worlds (while assisted through Hannah Beachler’s striking production design) inspired from decades-worth of stories, the film smoothly integrates relevant and provocative socio-political commentary from the very experiences of this particular world and its characters. Exploring what the presence of an isolated technologically-advanced superpower shielded from outside influences, and the geopolitical struggles and ambitions found within, means for the world over and the positive/negative impact it may leave behind. 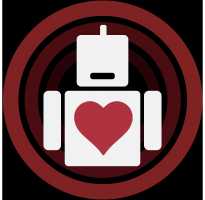 And never conceited to offer an easy solution, the film develops further compelling drama and stakes through giving free range of varying but legitimate opinions, beliefs and even actions channeled through its roster of strong well-developed characters that when delivered and discussed through the emotional depths of the performances, becomes just as lasting an impact as the plethora of action scenes. As to be expected from years past, Black Panther stands as yet another Marvel film to boast a fine ensemble cast; a collection of extraordinary talent whom even rival that of Avengers and Guardians of the Galaxy. For much like them, despite what the title may have you believe, this film is not reserved to only the experiences of only one character but rather the character’s entire world as demonstrated on the quality of excellent supporting performances; of which there are more than a few and every one its own standout. Providing yet another inspiring performance, Chadwick Boseman returns once again as T’Challa; a man more than prepared to embrace the traditions of such a royal legacy before him, but not for the darker side of what such a legacy may also hold. Lupita Nyong’o shines as Nakia, Wakanda’s leading spy, and T’Challa’s former lover, providing much of the film’s social conscience; a break-out performance from Leticia Wright as Shuri, T’Challa’s precocious sister and resident expert in tech, style and wit; The Walking Dead‘s own Danai Gurira stealing almost every action scene as Okoye, the battle hardened leader of Wakanda’s all-female special forces; Daniel Kaluuya in yet another emotionally complex role as T’Challa’s childhood friend and confidant, W’Kabi; and Winston Duke, making considerable physical impact as Wakandan rival chieftain, M’Baku. 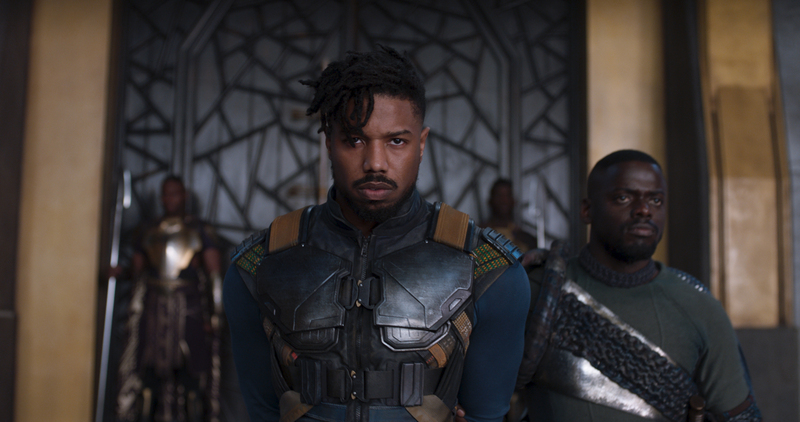 But perhaps not too surprisingly, top prize would have to go to Coogler’s now three-time collaborator, Michael B. Jordan as American Black-Ops soldier Erik “Killmonger” Stevens; not only giving a phenomenal and driving performance as a more than worthy opponent to Boseman’s T’Challa, but certain to rank high as yet another (among the few) of the MCU’s greatest villains based on just origin alone. An origin showing just how the most interesting villains to be had are not those who do evil for the sake of evil, but those whose actions are done under the firm belief that they are the hero of their own story; derived from such a real and emotionally resonating place to such degree, that even the story’s hero must empathize even if they must also resist. Black Panther stands as yet another Marvel film to boast a fine ensemble cast; a collection of extraordinary talent whom even rival that of Avengers and Guardians of the Galaxy. If any criticisms are to be had with the film, there are few and far between; when the movie does well, it does really well with such grace and style that almost every negative trait is simply outweighed. If anything, most blame can be attributed to only dodgy CGI within very specific establishing shots or even popping up in place of traditional stunt work within particular action scenes. Yet, even so, the film and its actors under Coogler’s direction alongside Rachel Morrison’s smooth cinematography, are still more than able to deliver plenty of thrills from these action scenes. From the minor physical brawls to an exciting neon-drenched car-chase in Busan, S. Korea, to the climactic showdown fought upon the field of Wakanda’s border and beyond. In addition, the energetic percussion and vocal score are influentially drawn from the traditional music of Senegal and South Africa, by Ludwig Göransson, adds just the right amount of panache and emotional drive to every scene, making even the very soundtrack for this film worth its own level of admiration. Though only just begun, Black Panther is a strong start for 2018’s MCU season and a very worthy chapter among Phase 3’s line-up as we make our way to the decennial event Avengers: Infinity War this May. But much like its contemporaries, while having its world neatly cemented within the context of the MCU, Black Panther is still able to stand as its own personal project, requiring no immediate prior knowledge of past films in order to gain a satisfactory viewing experience. 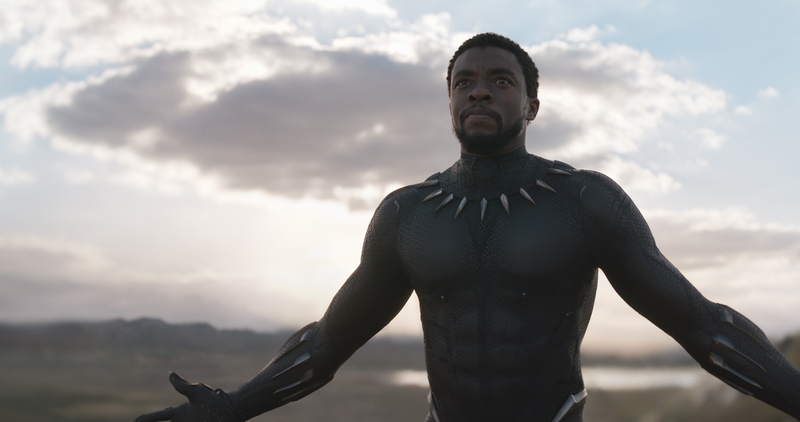 While it remains to be seen what future adventures for T’Challa and Wakanda may be in store, or if Ryan Coogler will make a welcoming return to the franchise again, it can be said that the warrior-king’s first solo outing is not only yet another chart-topping success for the MCU, but yet another progressive landmark in setting new standards for the franchise that promises to resonate for years to come.